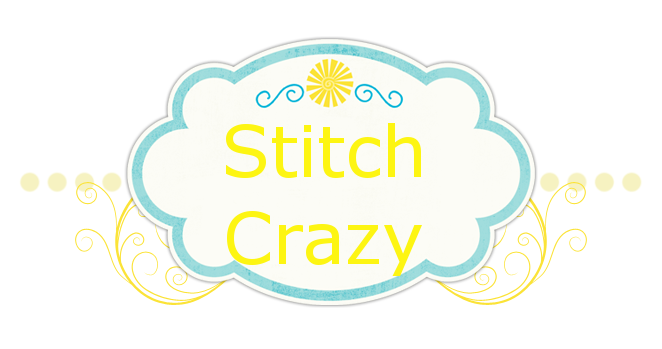 Stitch Crazy: A Finished Finish! Except for one teeny tiny detail I do want to add before it's all said and done. I do want to add a little jingle bell before it is given to Ms. Zoe for Christmas...but yes, I finished her Noel Christmas ornament!! And I did it as a pillow ornament!! Major improvement over last years uneven, hard as a rock ugly things!! Still have lots of room for improvement, but oh so happy!!! The front, yep, def. needs a little jingle bell in the center of the bow there don't ya think? sorry it's blurry, I think there is a setting off somewhere on my camera, or I was extra shaky tonight. Tried to get a close up of the edge. Tried to do something different. I'm not real pleased with it. I didn't want straight ribbon, but wasn't sure what to try. I'm so new to this, and I'm not real creative in this manner. I did add little beads though. Overall, I think it is a huge improvement last year. I have a lot to learn on finishing though. I see so many beautiful ornament finishes and other type finishes out there in blog land, I just wish I knew how to re-create them!! I did have a goal this week of finishing this ornie, and for all intent and purposes it is (gotta wait till I have the $$ and time to go get jingle bells), so I'm pleased with that. The next 2 days the boys have appointments and I seriously need to quit procrastinating on the housework I said I was going to do!! Friday looks clear so hopefully I will be in my cave working on stitching another Christmas ornament!! I love the design for your ornie. It's adorable. Congrats on your finish. Congrats on the ormanent! I think it turned out fantastic! A jingle bell would be perfect for the bow! Also welcome to the lizzie kate SAL! I'm looking forward to seeing your progress... I went back and saw your last post on it and you've made great progress so far! Keep it up! it looks great! Your ornament came out adorable. Congrats! What an adorable finish to your finish! :) So cute! Just joined your blog....thanks for entering my floss giveaway! Also...LOVE your girl cave! I need one!! (though, my husband would argue that the entire home is my girl cave)! Happy Stitching! Your ornament finish is lovely, very cute! I think your ornament is LOVELY, but I have struggled with my finishes as well (my second pillow ornament better than the first but still a LONG way to go. I have to say, even though I would have called yours a GREAT finish, it is nice to have someone else who feels like they have a long way to go on the finish learning curve. So many of the finishes are so beautiful and so perfect, it makes me feel inept. Your blog I found encouraging. Together we can do it! Your Noel ornament looks great! I still haven't tried to make one myself.